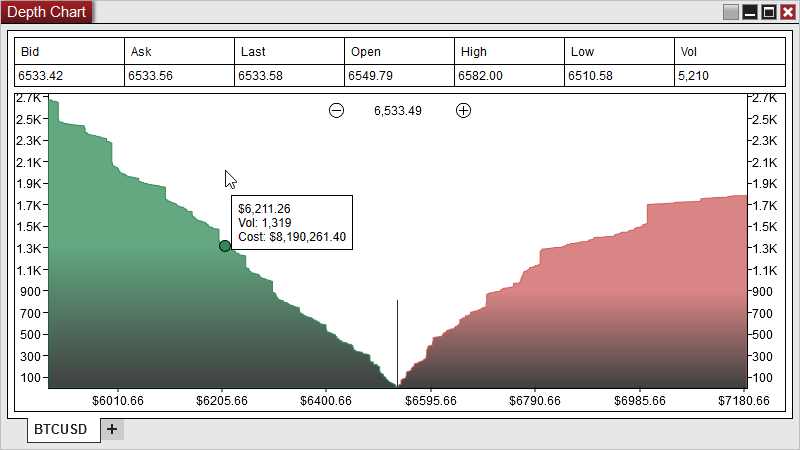 The Order Flow Depth Map now has a real-time display that graphs the highest depth volume seen at each price level for the bar type it is applied to (1 second in the example below). This creates a simple visualization of where the largest depth is. 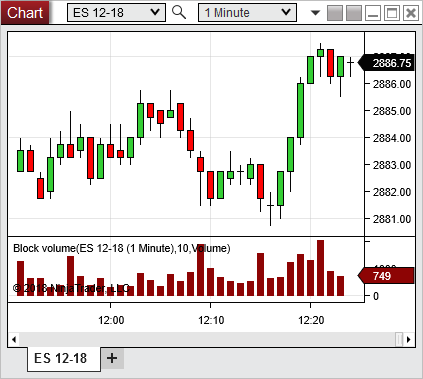 Volumetric bars now have a profile view to easily identify where the largest volumes occurred. 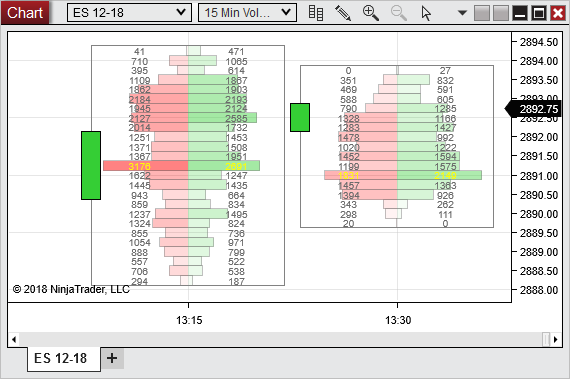 Order Flow Volume Profile using large composite modes such as month will build from the start of the month rather than a month back from the current date. 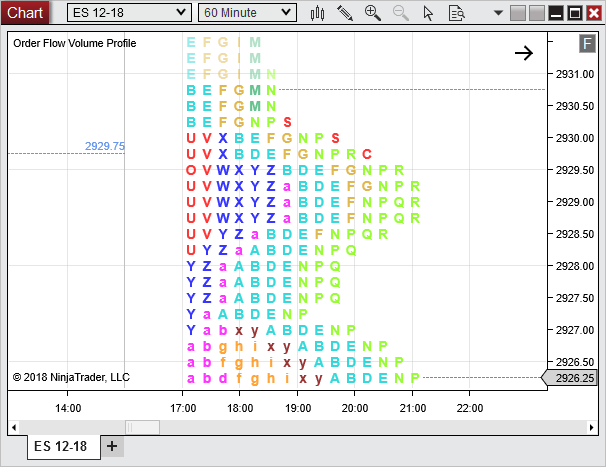 Order Flow Volume Profile with a Price Profile Type will now show an O and a C to represent the open and close. 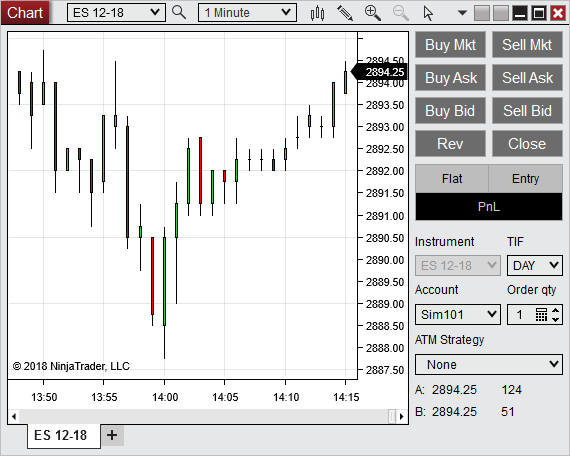 Now the Chart Trader size can be adjusted to your preference. 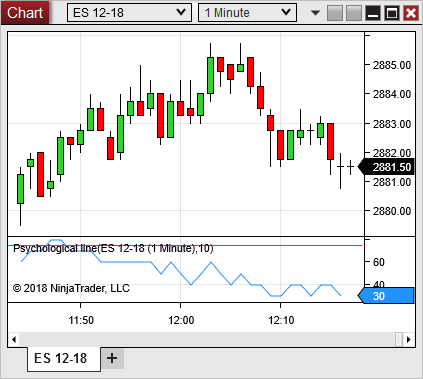 Added the ability to save templates for indicators to more easily manage different configurations of indicators for your needs. 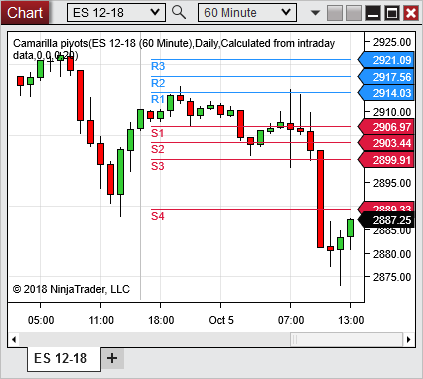 Pivot indicators calculate areas of potential support and resistance based on values from the prior trading session. 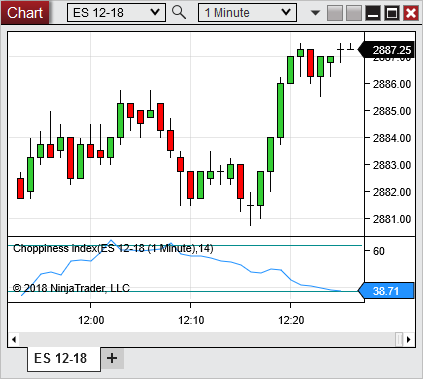 The Choppiness Index is an indicator that determined if the market is choppy (trading sideways) or not choppy (trading within a trend in either direction). A high value is more choppy. A lower value indicates the market is trending. The Vortex is an oscillator used to identify trends. A bullish signal triggers when the VIPlus line crosses above the VIMinus line. A bearish signal triggers when the VIMinus line crosses above the VIPlus line. 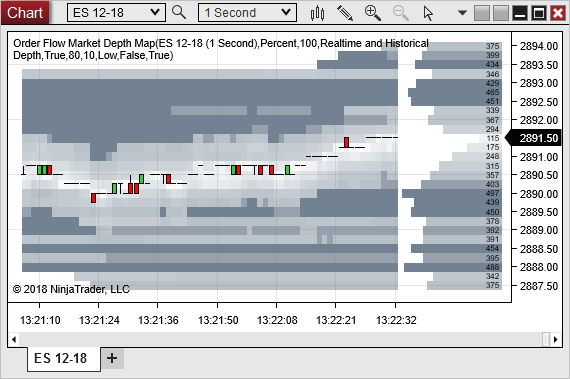 Block Volume can track how many block trades occurred within a bar. It can display the number of block trades or the total volume of the block trades. This could even be used to count how many ticks occurred within a bar. Historical tick data is required to historically calculate this indicator. 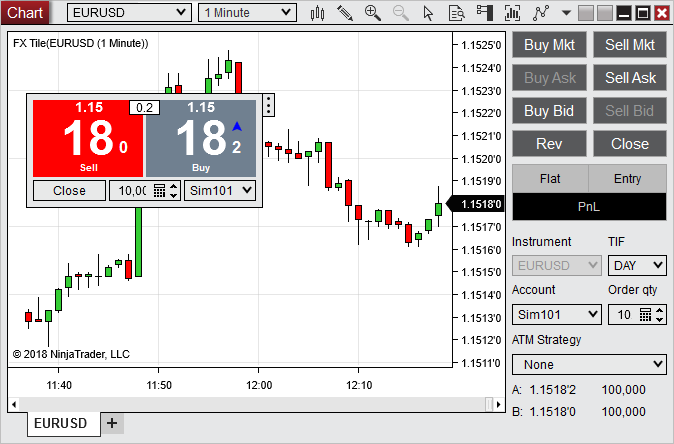 The FX Tile display a tile similar to the tiles in the FX Board, directly on the chart. 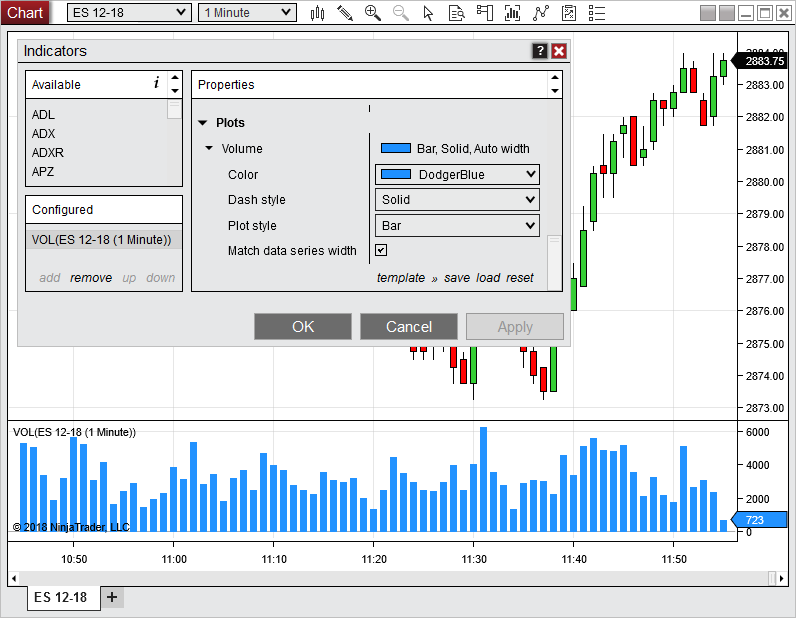 It will display the spread, can be moved around, and can even be used to place order when Chart Trader is enabled. The Psychological Line displays a ratio of what percent of bars were up bars over a specified number of bars. 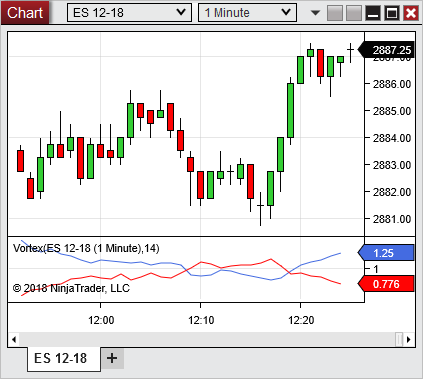 A higher ratio may indicate the price is more likely to drop. A lower ratio may indicate the price is more likely to rise. Implemented new icons to further increase the clean and sleek feel of the platform. The Chart - Net change column is a quick visualization to see the movement of the net change for the session. The start of the column is the session open and the end is the session close. The time does not relate across rows. The Depth Chart is a utility for cryptocurrencies that shows an aggregated view of the current order box. This creates an easy display to measure the resistance per side for the price to move. 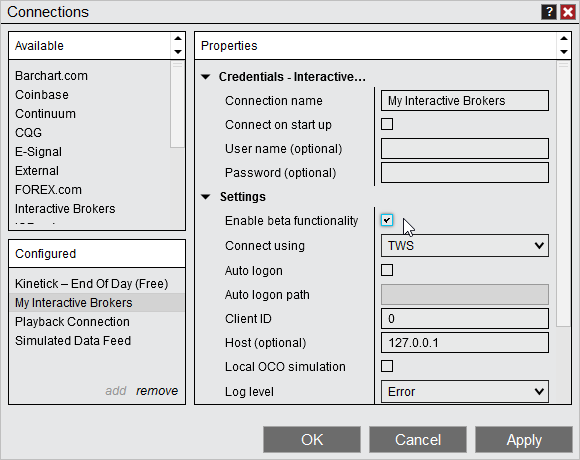 Previously when global simulation mode was enabled and you would select a live account you would have to click through the Control Center to disable global simulation mode. Now it can be done quickly and easily, right from the warning dialog. The QTY Pad was a feature often missed since it was accessed by middle mouse clicking. 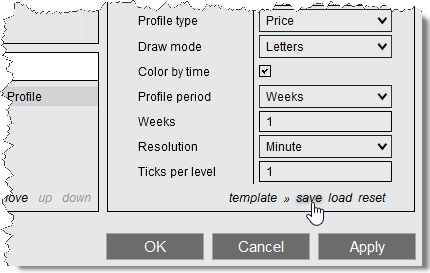 Now we have added a button to access the QTY Pad, which can quickly adjust your order quantity and has the ability to configure the available options. Often times when using an indicator that uses a Bar Plot style, you want the width to match the data series. Setting it and then adjusting the charts compression would then result in them not matching again. Now there is an option to have it dynamically match. 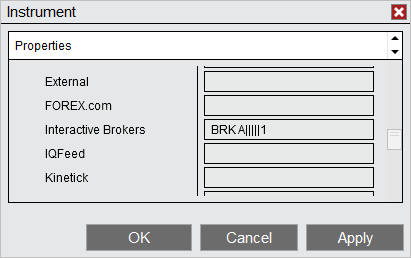 Beta function can be enabled within the connections properties. The following functionality has been implemented for beta. 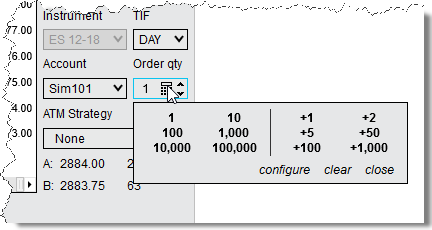 Prior if a script set a right side margin and you had a custom right side margin they could conflict with each other. Now we have added the ability to use the greatest margin. Resovled a scenario where recording data for Playback stopped real-time data from coming in.